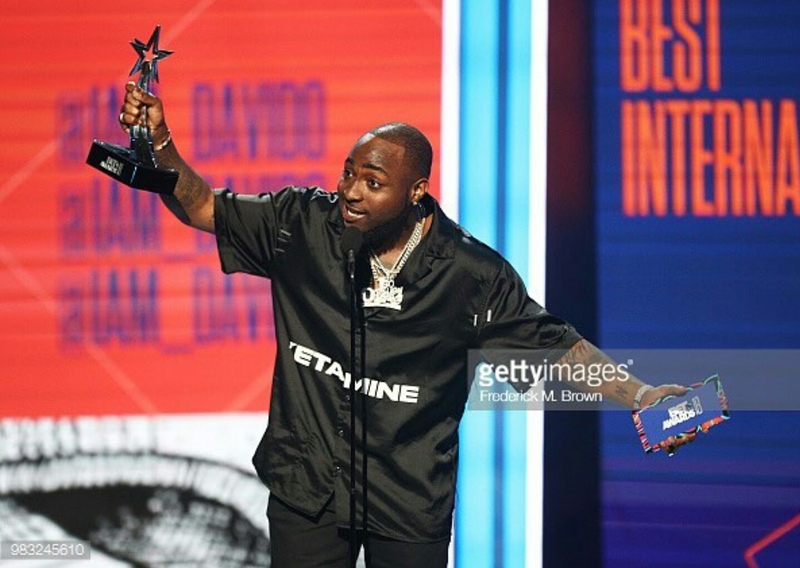 Nigerian pop singer Davido on Sunday, June 24, 2018, won the Best International Act at the 2018 BET Award held at Microsoft Theater in Los Angeles, California. 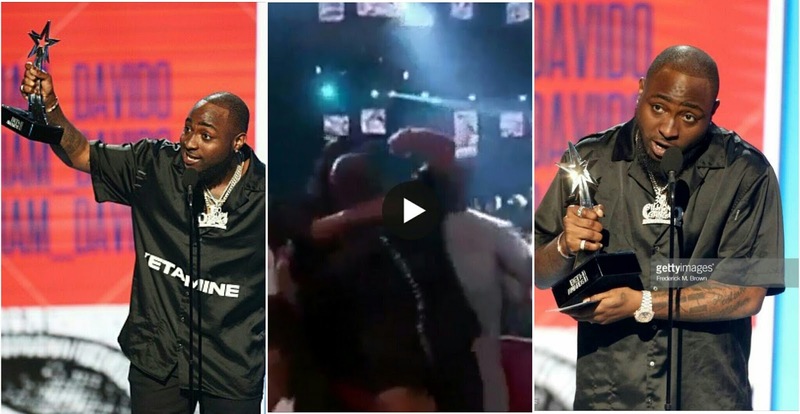 Very happy Davido expressed his joy by hugging those around him, I bet he never saw that coming. 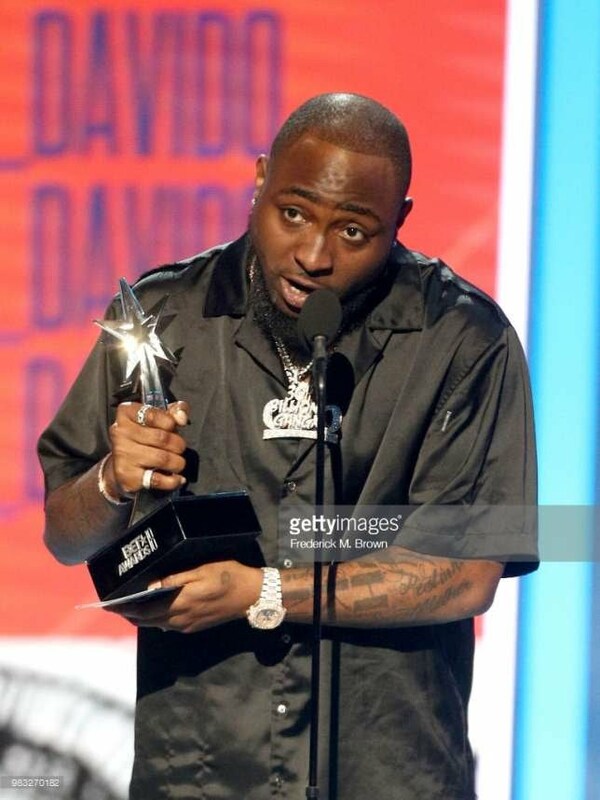 Davido used the opportunity to condole D’Banj, who lost his son on Sunday, and he also urged more foreign stars to collaborate with Nigerians/Africans, calling out names like J.Cole and Migos.